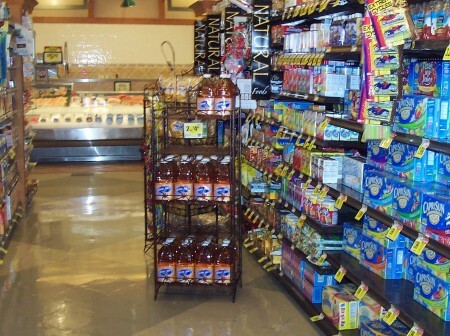 Home > Food Expose, Food Markets (Grocery), Food Pictures & More, The Bad	> Traffic Lights Soon Needed Inside Grocery Stores. Traffic Lights Soon Needed Inside Grocery Stores. Who has the right of way when trying to navigate around the excess displays in a grocery store? It’s getting a little ridiculous. Why does every aisle have to be loaded such that only one cart can pass at a time? It causes too much congestion and makes me feel like I’m on an obstacle course. I’m not going to buy an item because I have to trip over it — Stop the madness. It doesn’t make for a pleasant shopping experience. AMEN AMEN AMEN AMEN! I hate those displays. Sometimes I just want to knock them over, accidentally on purpose. I once stopped another shopper from picking things up after he accidentally knocked it over. 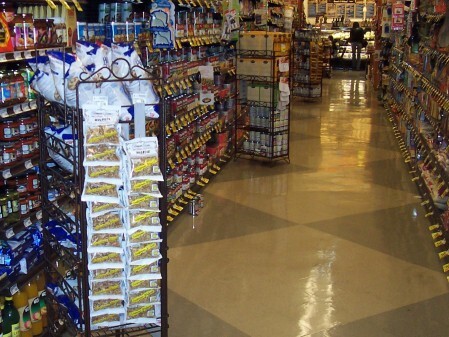 LEAVE IT – I told him, and explained the store needed to deal with these messes as a natural consequence of blocking the aisles. He agreed. True story. One of these days I want to lead a boycott against any goods sold on those aisle-blocking displays. If shoppers did that, then they’d be gone in a flash! That’s pretty funny. At my store we have 3-tier baskets and they’re on every aisle. Its supposed to help with cross promotion sales but to be honest I never see anyone buy anything from them. All they do is take up space. Normally I would argue the case but you have a legitimate reason… I really like your blog by the way. Found it on bloggapedia. Christmas Party Appetizers And Dessert Ideas With Photos. 100 Snacking Tips To Help You Save Money And Eat Better.